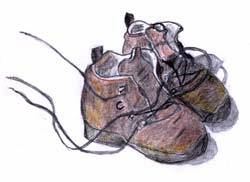 This website reports an exciting discovery north west of Rome, where we have identified a site which is of significant archaeological importance, but also of historical engineering significance. 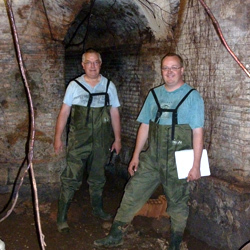 In the summer of 2008 we were researching the source and route of the Aqua Alsietina in the area around Lake Martignano and Lake Bracciano north of Rome. A Councillor of the local Park Authority told us we should investigate a local broken-down church associated with an aqueduct, and with the patronage of the local mayor, we were guided to this church in late 2008 and shown chambers with ‘natural tunnels’ and caves below the church, although on our first visit there was no ladder to access those channels. The volcanic basin of Lake Bracciano, like many mountainous areas around Rome, gushes with fresh spring water, and this has been exploited since ancient times and transported to different destinations. 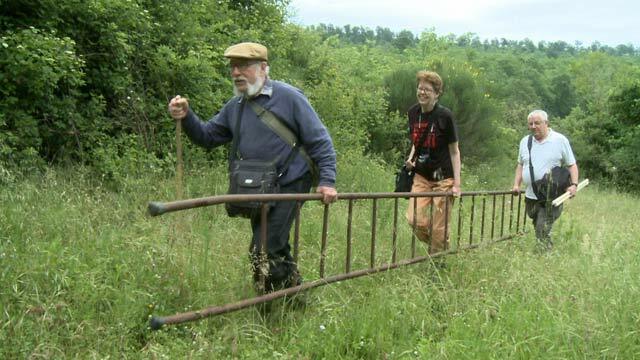 Not many of the sources retain evidence of Roman engineering. We were told on our first visit that Santa Fiora was connected to a medieval aqueduct or a natural tunnel, but after we spent many many hours researching at the Biblioteca di Archeologia e Storia dell’ Arte, the American Academy in Rome and the British School in Rome, and we found clear evidence that the truth was rather different. 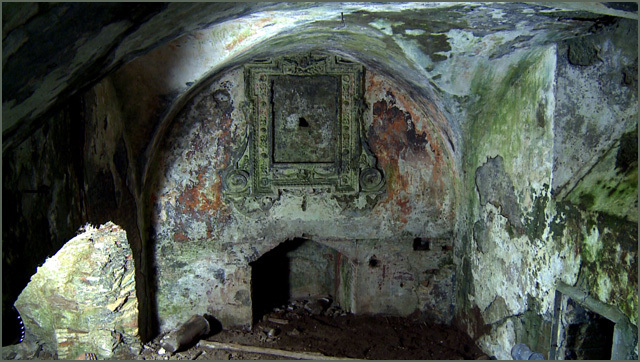 By summer 2009, after significant research, we gained access to the site, to the west of Lake Bracciano for a second time. On this occasion, a long ladder which reached exactly the depth of the subterranean chambers was located in advance. We already knew that Thomas Ashby and Esther van Deman both believed that the route of Trajan's aqueduct followed the Fiora Canyon close to the church. However Ashby and Van Deman appear to have been completely unaware that Carlo Fea, Luigi Bernini, and Carlo Fontana had all declared that the source of the aqueduct was born directly under the church. 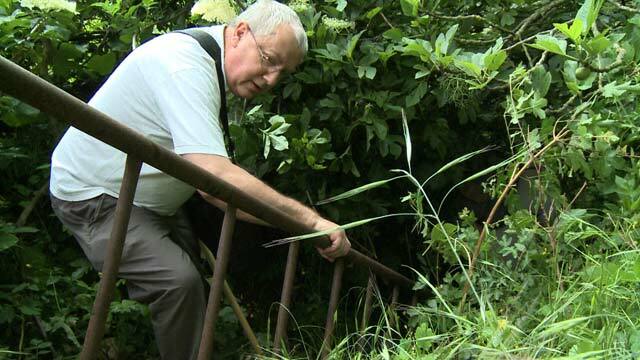 During 2009 we gained access several times to the church, which was at that time hidden under thick vegetation. We brought our high-powered lights, safety equipment, high-definition TV Camera and filming equipment and after scrabbling through the scrub we found that the fabric of the church contained a dry water source and a network of tunnels and we were able to film the structure and the tunnels and to confirm our research as to their identity. 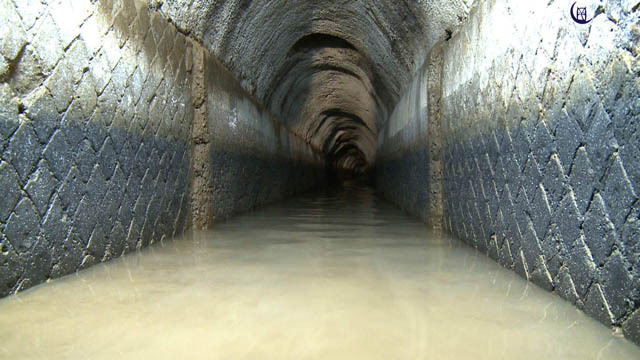 We confirmed that hidden under the church of Santa Fiora was once the principal and most copious source of the Emperor Trajan’s masterpiece of the aqueducts, the Aqua Traiana. What we had discovered was a Nymphaeum structure from the time of the Roman Empire, built into the side of a hill which had remained hidden and ignored by scholars during the twentieth century. An ancient pagan sanctuary subsequently converted to a small Christian Church called Santa Fiora, it contains both religious and hydraulic features, and is clearly constructed of Roman bricks and concrete. Below the present ground level, there are water collection channels from uphill and one hundred yards of traversable aqueduct specus leading downhill from the spring water collection chamber. Our historical sources indicated that beyond all doubt, the aquifer sources around and beneath the Church of Santa Fiora comprised a most important supply of water for the ancient City of Rome. The year 109 was a big year for the Emperor Trajan. 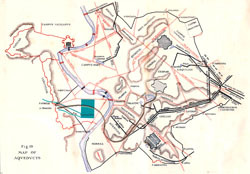 He inaugurated three public works in close succession: His monumental baths complex near the Colosseum, his naumachia water theatre close to the Vatican, and perhaps most significant for the health of his people, the Aqua Traiana – his great aqueduct which was the first and only supply of clean water to the West of the river Tiber. In classical times, coins were minted as a type of news release to publicise important achievements of the Emperor. Trajan produced coins to commemorate many important public works.